Coral has a somewhat unique capability to reproduce in two ways. They can do it sexually, but also asexually. In asexual reproduction a part of the animal breaks of and grows out into a new colony. These colonies are, genetically speaking, an exact copy of the parent. A disadvantage of this method of reproduction is the reduced genetic variability. In the traditional way of farming corals, this method is used. It is sometimes called pruning. 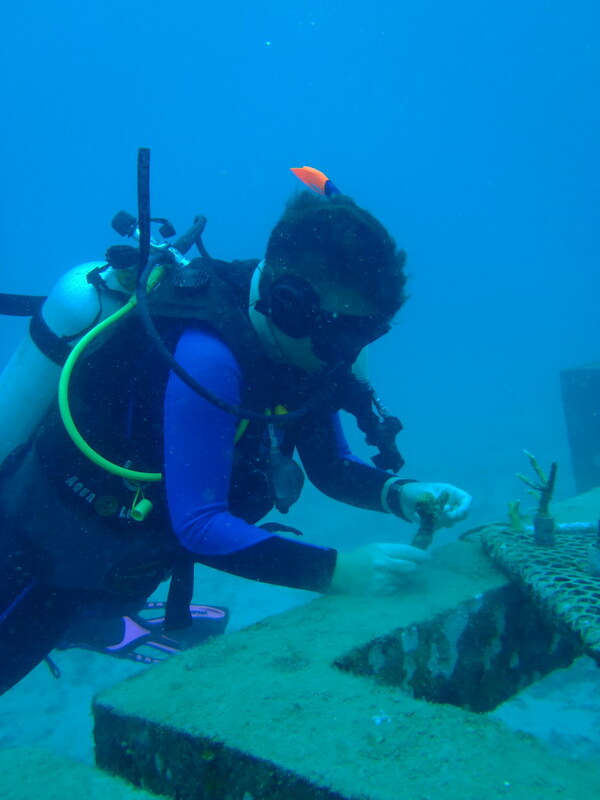 Using pliers, pieces of corals are cut off and transplanted to a hard substrate. Attaching broken pieces to a hard substrate can also be used to save fragments and colonies at risk. This method of reproduction can only be used on relatively small scales and is labour intensive. In sexual reproduction, sperm and eggs from corals merge together to form new individuals. 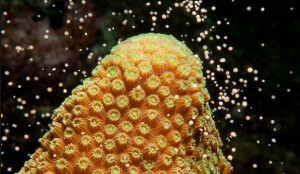 Corals mass reproduce every year. About 130 species reproduce in the same night, releasing billions of gametes. This is also called spawning. This event is a unique form of synchronisation in nature. The exact time of the event depends on the time of the month (no pun intended), temperature, tide, day length and position of the moon. The whirling mass of all those gametes can increase the turbidity of the sea water, confusing other marine life. While harmless and maybe somewhat disturbing, the turbidity helps fertilized eggs to prevent predation. In nature gametes float to the surface where the actual fertilization takes place. The fertilized eggs are caught by currents and grow out to microscopically small larvae (coral spat). On the surface this spat is very vulnerable to predation by fish, “drowning” in fresh rain water or being destroyed by rough conditions. After a couple of days or weeks the larvae sink to the bottom of the sea. They try to attach themselves to hard substrates, e.g. a dead coral skeleton or an empty rock. Slowly the larvae change into polyps and reproduce asexually to form a new colony. 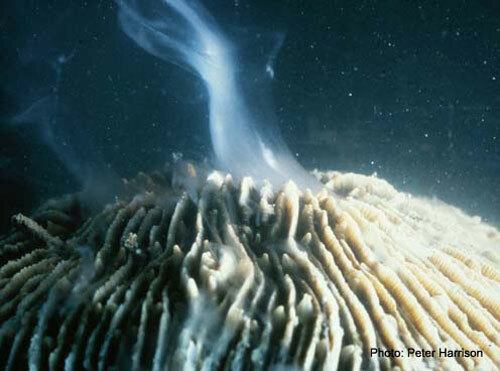 Even under optimal conditions, corals rarely grow faster than several inches a year. Quite some research is being done to find the best ways to control the sexual reproduction of corals, as a way of improving the genetic variability (and resistance) of new reefs.